Railway never wants to finish work in time. Prg Station se Rambag ROB ke 200 metres west tak double line daal di gayi thi teen mahine pahle hi. 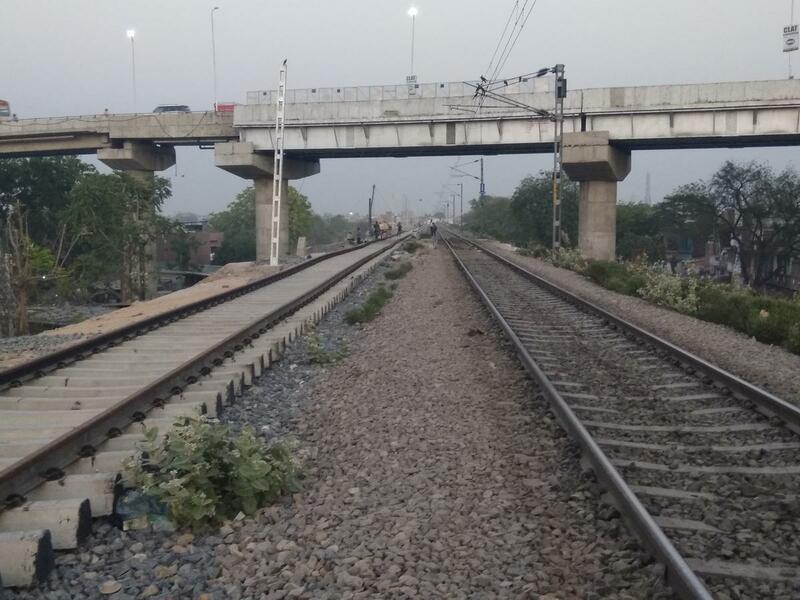 But they are not starting work from this place to Ald station east place where Ald-Nyn NCR, Ald-Aly NER and Ald-Prg NR line meets. in this 300 metres and no soil levelling required. Only 100 metres require clearing of jungle, soil levelling and track laying. 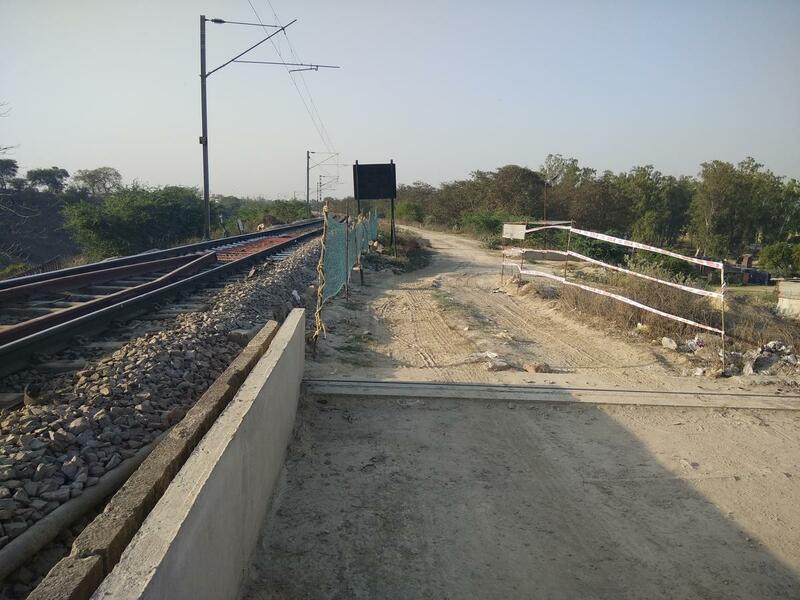 There is no problem of land also in this 400 metres as railway quarters are there adjacent to it and space for laying two more lines is there. 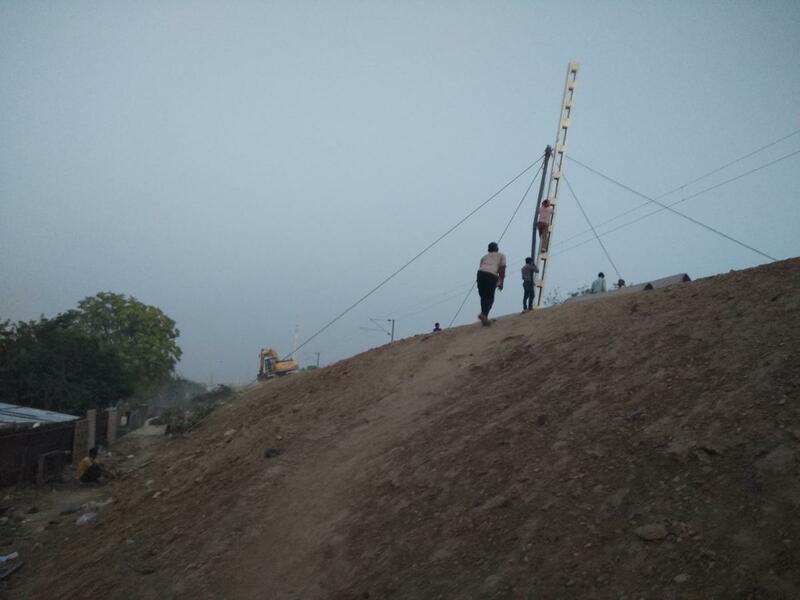 The only small problem, which contractors may be pretending is presence of two 25kv wires coming perpendicular from SSP to feed the Ald-Prg section (single wali present line). 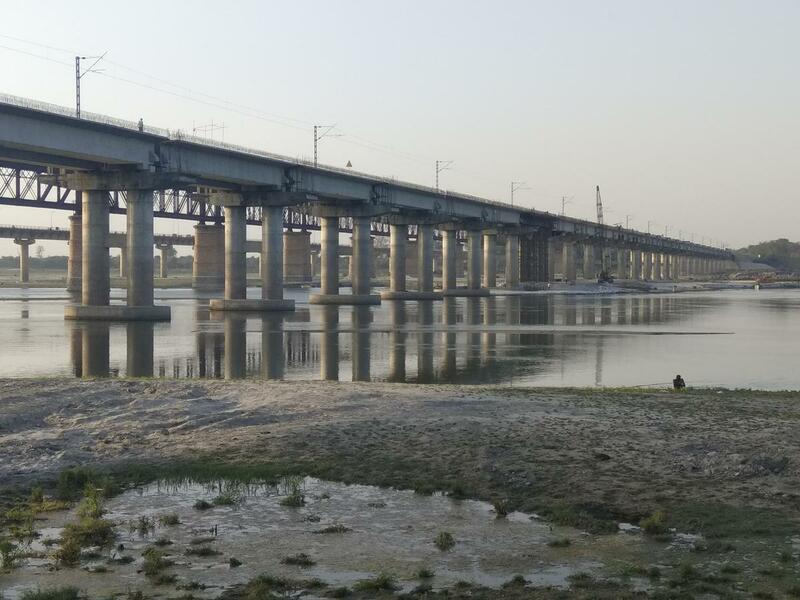 Pic 1: Rambagh ROB and Ald-Prg line in view. 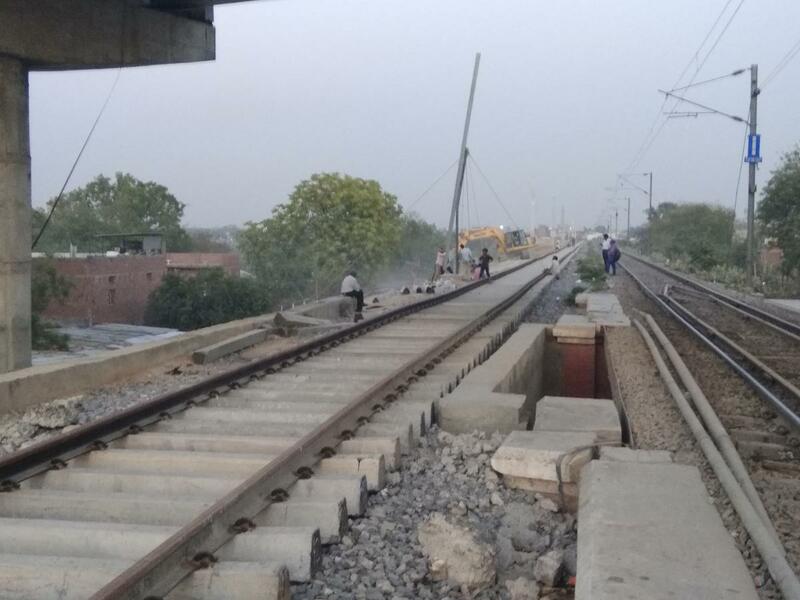 The left new line for doubling is laid upto here and 400 metres left for laying starts from here to Ald east yard end. 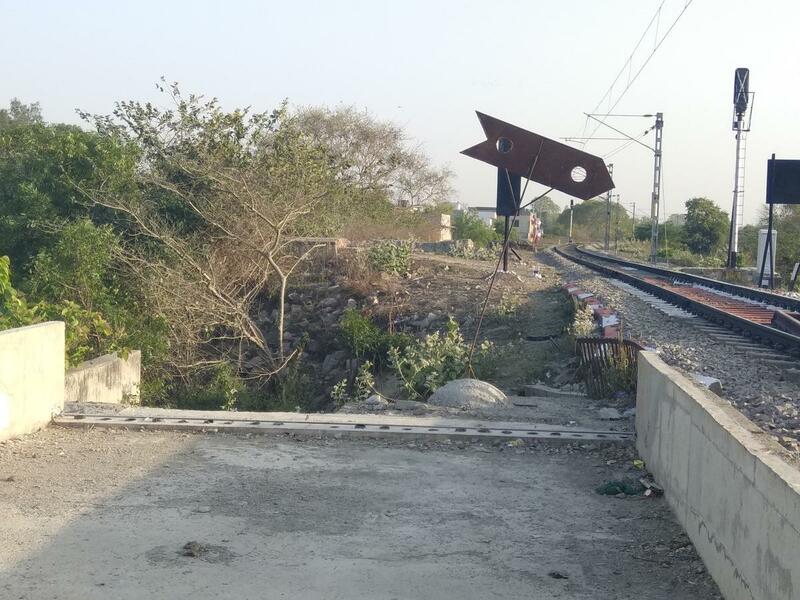 Pic 2: 90% pole erected for electrification of Ald-Prg double line. Pic 3: One of the last poles being erected for the electrification of the dbl line.